Doug Puckett is the Private Equity Tax Lead for the D/FW Region and also works closely with the firm’s national investment management tax leadership to bring best of class services to private equity, hedge funds, and family offices of high net worth clients across the U.S. As both a CPA and CFPÃ‚Â®, Doug has extensive knowledge and experience in advising clients on all manner of business and personal tax matters. Prior to joining Deloitte, Doug spent over a decade with TPG Capital where he was the founding member of the internal tax team. 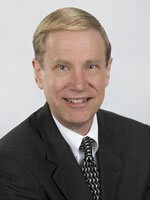 Doug holds a Masters of Professional Accounting (MPA) degree and a BBA – Accounting from the UT Arlington. Deloitte provides industry-leading audit, consulting, tax, and advisory services to many of the world’s most admired brands, including 70% of the Fortune 500. The firm works across more than 20 industry sectors.. As a member firm of Deloitte Touche Tohmatsu Limited, a network of member firms, they form the largest global professional services network, serving clients in the markets that are most important to them.